A recent study has shown that children who drink soda tend to score slightly higher on scales that measure aggressive behaviour than those who don’t drink the carbonated beverages. The study’s lead author cautioned, however, that the increase may not be noticeable for individual children and the researchers cannot prove soda caused the bad behaviour. “It’s a little hard to interpret it. It’s not quite clinically significant,” Shakira Suglia, of Columbia University’s Mailman School of Public Health in New York, said. Despite the study’s limitations, Janet Fischel, director of developmental and behavioural pediatrics in the department of pediatrics at Stony Brook University School of Medicine in New York, said the study is a step in the right direction. “I think it’s really important and a giant first step in gathering an evidence base for what’s becoming a very widespread dietary habit. I think that’s really important,” said Fischel, who wasn’t involved in the new study. 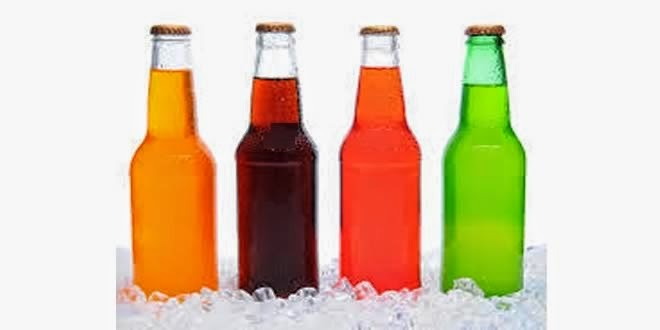 Previous work by some of the study’s authors had found connections between soda drinking and violent behaviour, but the link had not been studied in young children. For the new analysis, the researchers used an existing study of mothers and their 2,929 children from 20 large US cities. Mothers completed a checklist on children’s behaviours over the previous two months to measure withdrawal, attention and aggression. “It’s things like how often does a child destroy his or her own belongings and how often do they destroy the belongings of others,” Suglia said. The mothers were also asked how many servings of soda their children drank per day and about other habits such as TV watching. Overall, 43 percent of the children drank at least one soda per day and 4 percent drank four or more servings. Aggressive behaviour was measured on a scale between 0 and 100 – with higher scores indicating more aggression. Suglia said the average score is 50, and 65 is usually used as a clinical marker of when children should be evaluated for a problem. Children who reportedly drank no soda scored 56 on the aggression scale, on average. That compared to 57 among children who drank one serving per day, 58 among those who drank two servings, 59 among those who drank three servings and 62 for four soda servings or more per day. After taking into account habits that may have influenced the results – such as how much TV the children watched, how much candy they ate and their mother’s race and education – the researchers still found that drinking two or four or more servings of soda per day was tied to higher aggression scores. Overall, children who drank four or more servings of soda per day were twice as likely to destroy other people’s belongings, get into fights and physically attack people, compared to children who didn’t drink soda. Soda drinkers also scored higher on scales measuring signs of withdrawal and attention problems, write the researchers in The Journal of Pediatrics. Suglia says that although the increased aggressive behaviour may not be noticeable for each child, it’s moving all children closer to the scale’s clinical threshold. “Furthermore, if they’re drinking this much soda, it’s probably taking away from other nutritional things the child could be eating,” she says. The researchers write that they can’t tell from their study what may explain the association between soda and behaviour problems in children, but one possibility is that an ingredient in soda – like caffeine or high fructose corn syrup – could directly increase aggression. Another possibility, however, is that an underlying condition – such as low blood sugar – could make children more aggressive and make them crave soda and sweets, they add. Suglia also says it’s important to note that the results may not apply to the general population, because most of the mothers were single and African-American or Latina. This story was published in Newswatch Times on August 24, 2013.